For each slice, cut two squares roughly 5" each from the light-colored cotton cloth. This allows for a 4.5" finished piece with 0.25" seam allowance all the way around. Cut a strip of brown felt 18.5" long and 1.5" wide for the crust (you might have to sew two sections together to get a strip that long). Sew one long edge of the crust onto one of the cotton squares around the perimeter, leaving a 0.25" seam allowance on each. When you get all the way around, the crust should overlap itself by about 0.5". 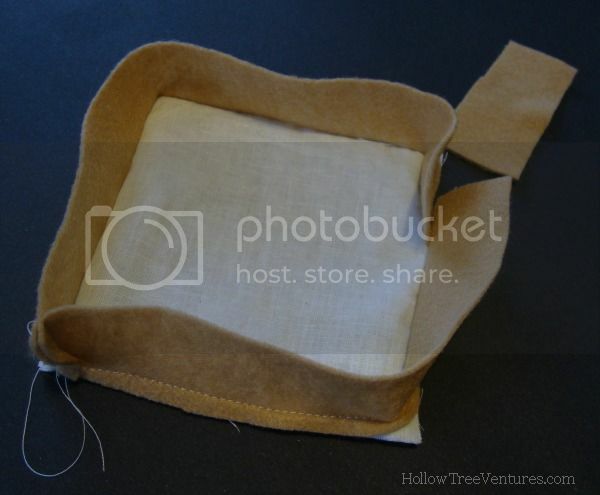 With right sides of the cotton squares facing each other, sew the other long edge of the crust to the remaining cotton square in the same manner as the first. There will be an opening on the crust where the strip overlapped itself; pull the slice of bread right side out through this opening. 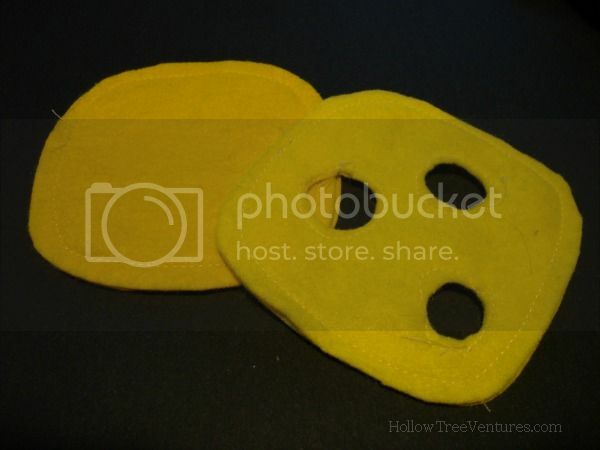 Add some polyfill/stuffing through that same opening. Don't overstuff or you'll end up with a puffy pillow - just enough to give it shape will do the trick! 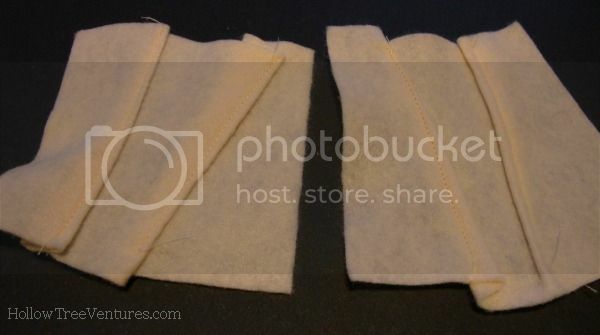 For each slice of cheese, cut two pieces of yellow felt into 4.5" squares. Slightly round the corners, if desired. Top stitch the two pieces together, 0.25" from the edges. OPTIONAL: If you want to make Swiss cheese, top stitch a few circles through both layers of your cheese slice, then use your scissors to cut out the centers of the circles 0.25" from the stitching to create the holes. 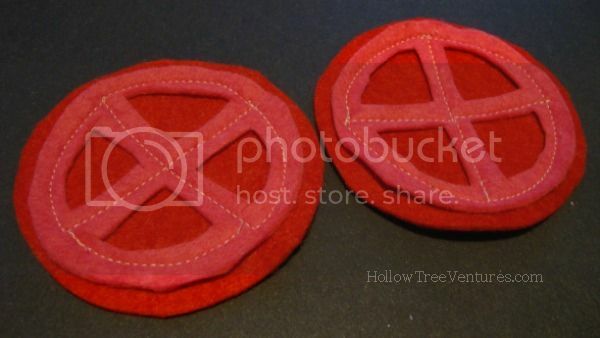 Cut a circle about 3.75" in diameter out of dark red felt. Cut a circle about 3.25" in diameter from dark pink felt. Draw an X on one side of it with pen or chalk, and cut the center out of each of the four resulting triangles, being sure to leave a 0.5" border remaining around the edge of the circle and between the triangles (see photo). Top stitch the two circles together, making sure the X on the dark pink shape doesn't show. 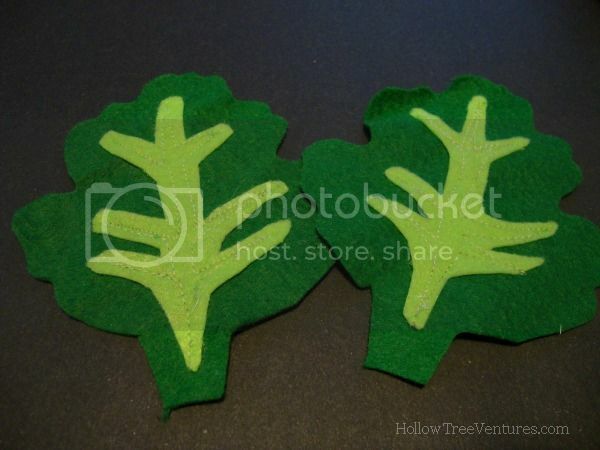 Cut a leaf shape from dark green felt, 5" long and about 4.25" at the widest point. Check the picture for the general idea; it's roughly the shape of a spade or fat maple leaf, with wavy edges. Cut simple "veins" from light green felt - it should have a center stem 0.25" wide with a few veins branching off toward the edges of the leaf. Position the veins on top of the leaf and top stitch them together. Cut a 3.75" diameter circle from white felt. 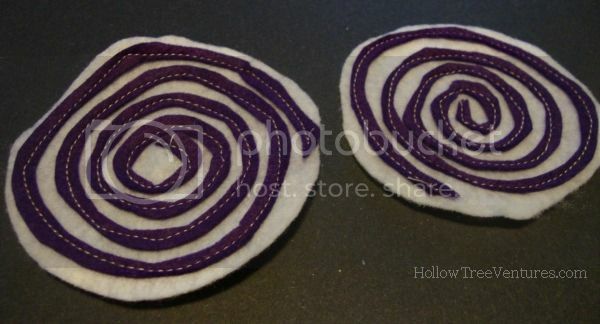 Cut a 3.5" circle from dark purple felt. Starting at the edge, cut in a 0.5" spiral pattern until you get to the center of the circle. Then cut all the way down the center of your spiral strip from end to end; this creates two 0.25" wide spirals - enough to make two slices of onion. Place one of the spirals roughly centered on top of the white felt circle and top stitch it in place. Create a few random folds parallel to the 4.5" edge (you might want to pin as you go), until the piece is approximately 4.5" square. Top stitch over the folds to hold them in place. Cut random "splotch" shapes about 5" X 5" from brown felt (for peanut butter) and purple (for jelly). DONE! 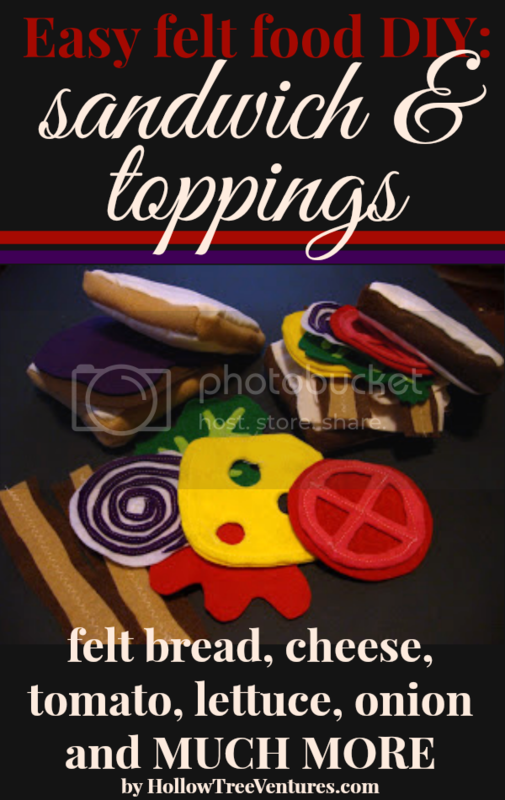 Cut "splotch" shapes similar to the ones described above, but smaller, from red felt (ketchup), yellow felt (mustard) and white felt (mayo). So easy! Check out this bacon and eggs tutorial to find out how to fry up same fake bacon - with the lettuce and tomato, your little chef can make BLTs! Every meal needs some side items; try these popcorn and chips, complete with a really cute felt bag. Want dessert? I'll show you how to make sugar cookies, chocolate cookies with icing, and classic chocolate chip. All the fun, none of the calories!